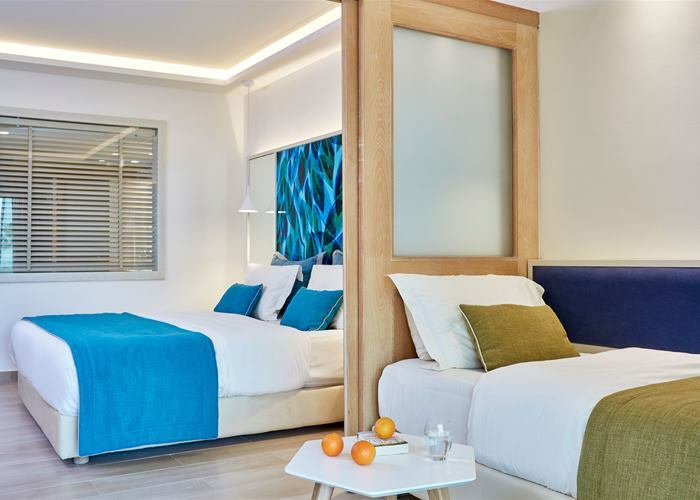 Tucked right up on the beach front and with views over the Mediterranean the Atlantica Aegean Blue offers a varied selection of room types to put you right into holiday mode. Whether travelling as a couple or treating the kids to a family getaway, there’s plenty of pool and garden space to enjoy a relaxing moment or a fun filled day of activities. The fun doesn’t stop there, with an exclusive waterpark there’s something for kids and grownups of all ages. For breakfast, lunch and dinner you can choose from our varied buffet with themes from around the world and delightful tastes cooked right in front of you or treat yourself to our A la carte restaurant serving top favourites from the Asian cuisine. 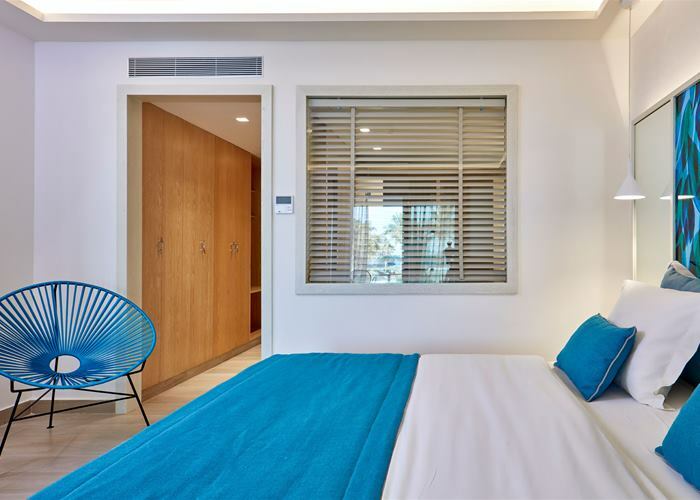 These spacious rooms come with either two single or double bed and are tastefully decorated in neutral colours. The room sleeps up to 3 and is complete with a mini fridge stocked with refreshments on arrival, LCD TV and air conditioning from mid-May to the end of September. These stylish rooms are fresh and inviting and sleep up to 3 people. 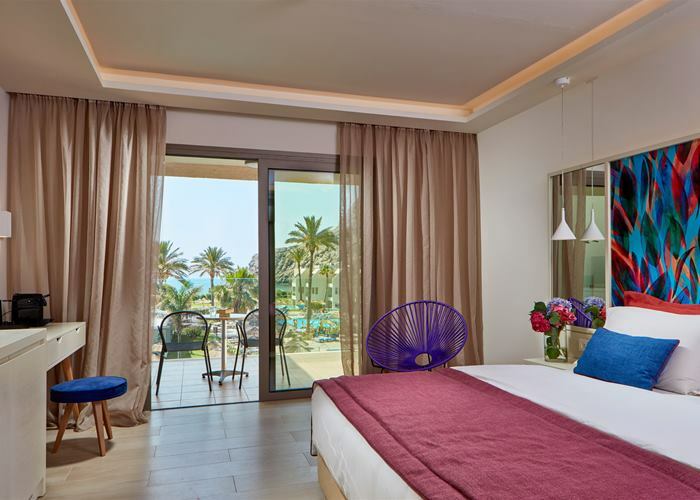 They have the added benefit of your own sun loungers on the terrace and come complete with a mini fridge stocked with refreshments on arrival, LCD TV and DVD player and air conditioning from mid-May to the end of September. 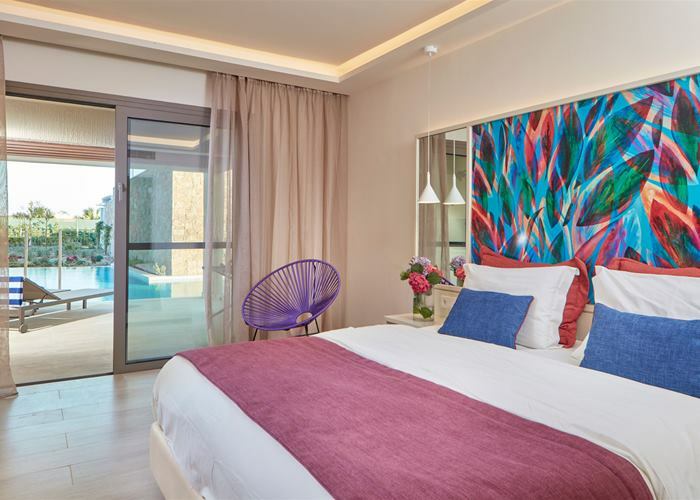 As all rooms, these hold a fresh and modern feel but have the added benefit off direct access to the pool from your terrace. To top things off you even have the added luxury of private sun loungers on the terrace. Rooms sleep up to 3 with a queen sized bed and a sofa bed. Family rooms combine practical family space along with relaxing comfort for both adults and children. They sleep up to 4 people made up of one double bed and two single beds or bunk beds in an area with a partial optical separation. 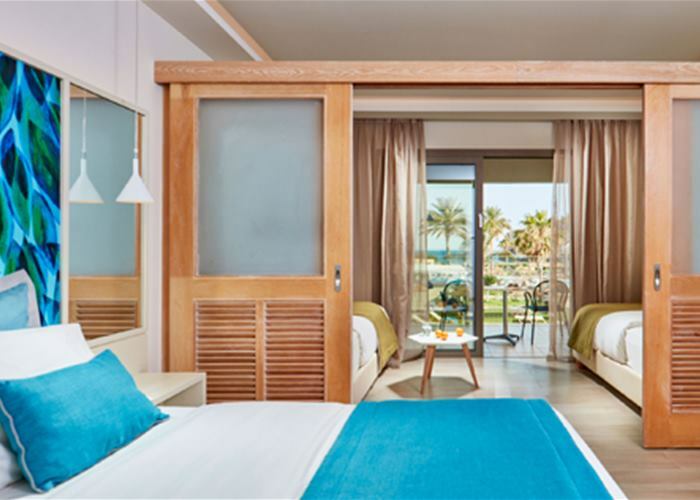 Rooms come complete with a mini fridge stocked with refreshments on arrival, LCD TV and air conditioning from mid-May to the end of September. Family rooms combine practical family space along with relaxing comfort for both adults and children. They sleep up to 4 people made up of one double bed and two single beds in an area with a partial optical separation. 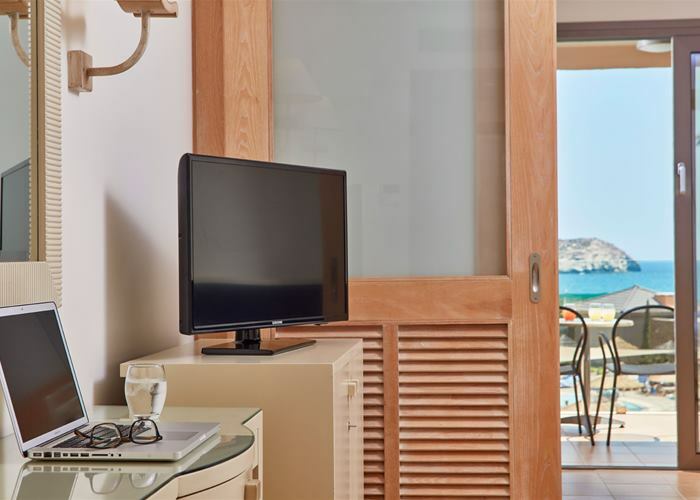 Rooms come complete with a mini fridge stocked with refreshments on arrival, LCD TV and air conditioning from mid-May to the end of September. 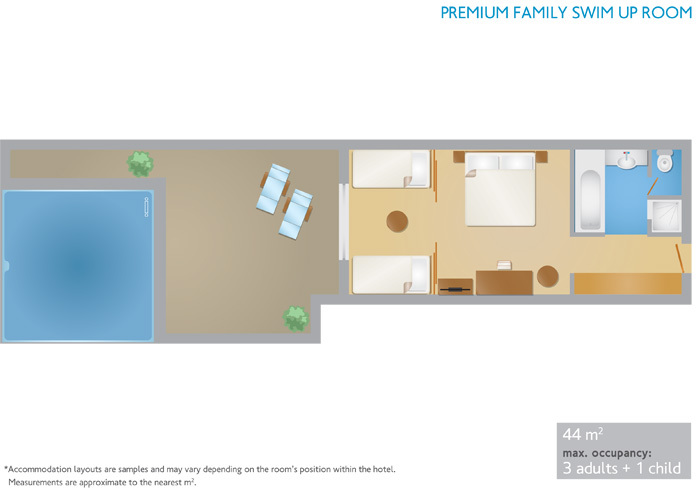 With your own sun loungers on your terrace and direct access to a shared pool. You can certainly see and feel the luxury with this room choice. 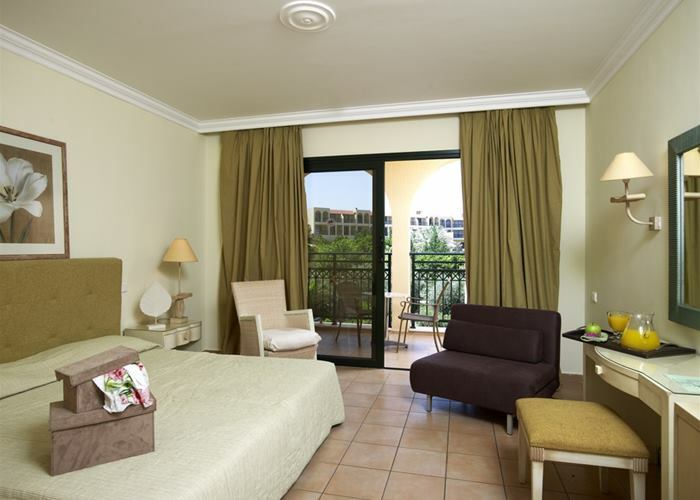 Rooms have upgraded furnishings and sleep up to 3 with a queen sized bed or twin beds and a chair bed. 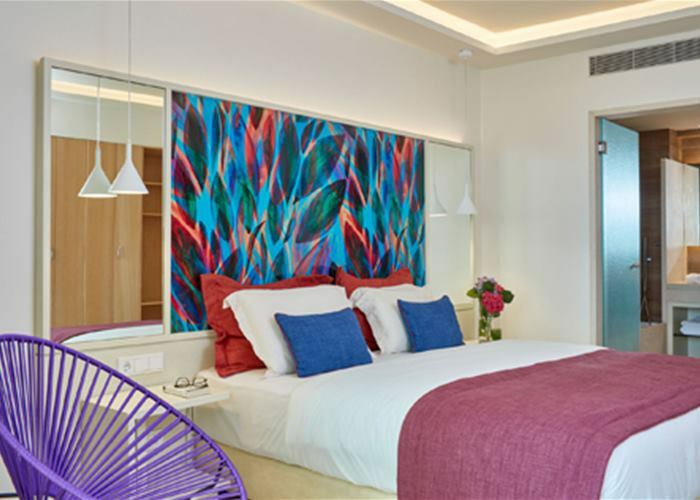 Taking your room experience to that next level you'll find some extra facilites in this perfect room choice. 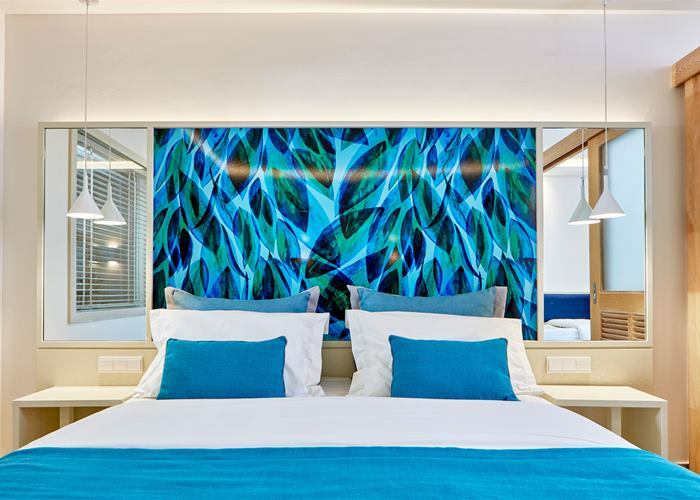 You can certainly see and feel the luxury with this room choice. 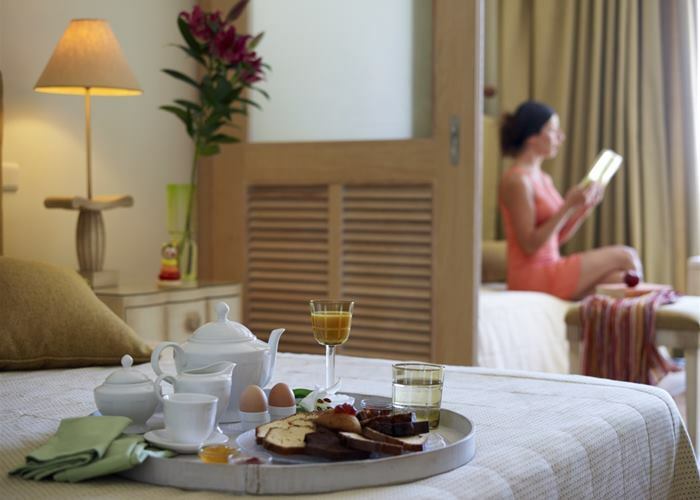 Rooms have upgraded furnishings and sleep up to 3 with a queen sized bed and a chair bed. Taking your room experience to that next level you'll find some extra facilites in this perfect room choice. 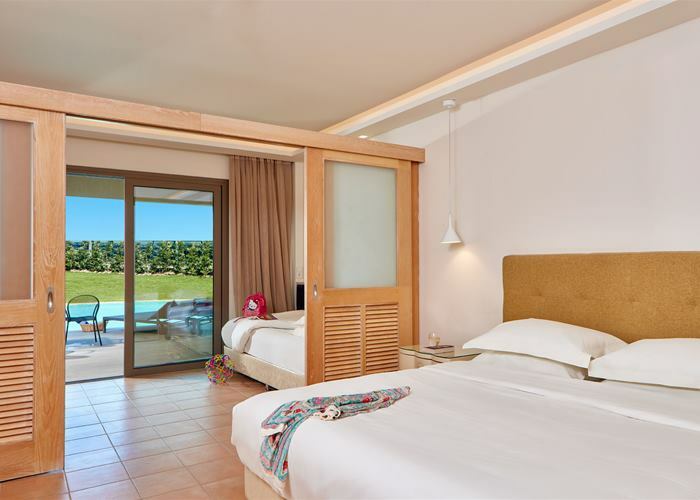 You can certainly see and feel the luxury with this room choice and with the added benefit of direct pool access from your terrace you'll soon be soaking up the rays in the matter of no time. 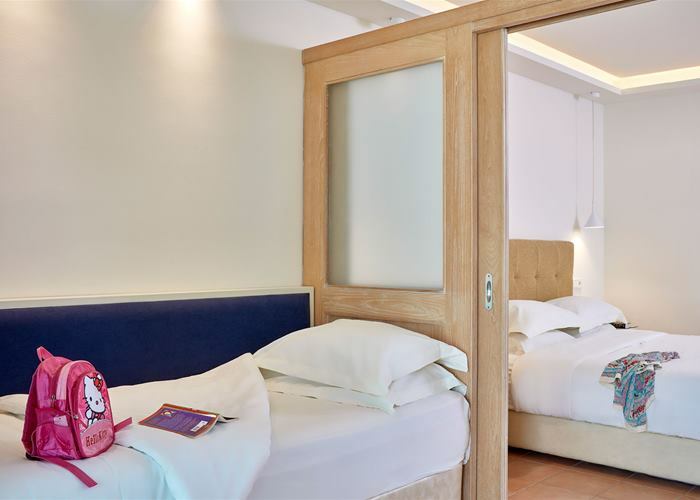 Rooms have upgraded furnishings and sleep up to 3 with a queen sized bed and a chair bed. 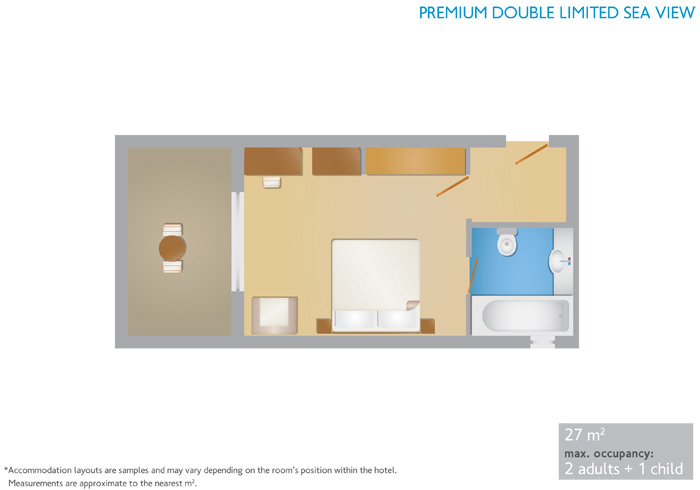 Taking your room experience to that next level you'll find some extra facilities in this perfect room choice. 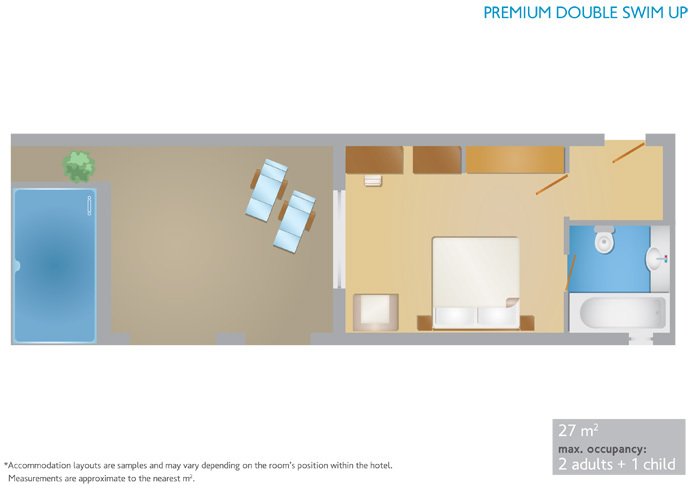 This room category certainly boasts luxury with ample space for you and your family. 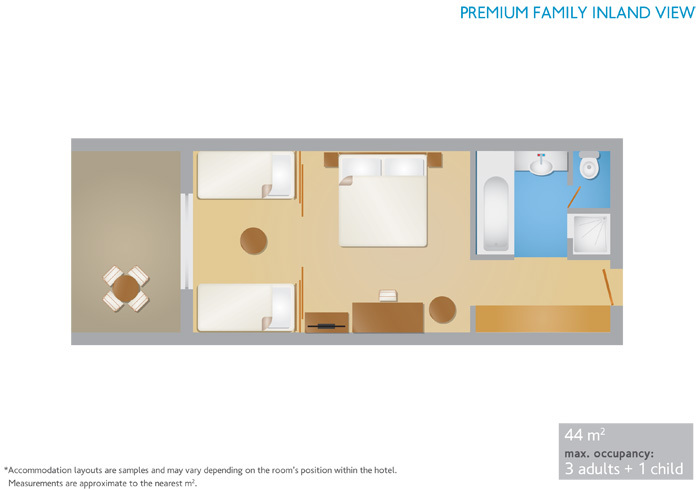 Premium family rooms have the added benefit of a sliding partition and these rooms sleep up to 4 with a queen sized bed and 2 full sized single beds. Taking your room experience to that next level you'll find some extra facilites in this perfect room choice. 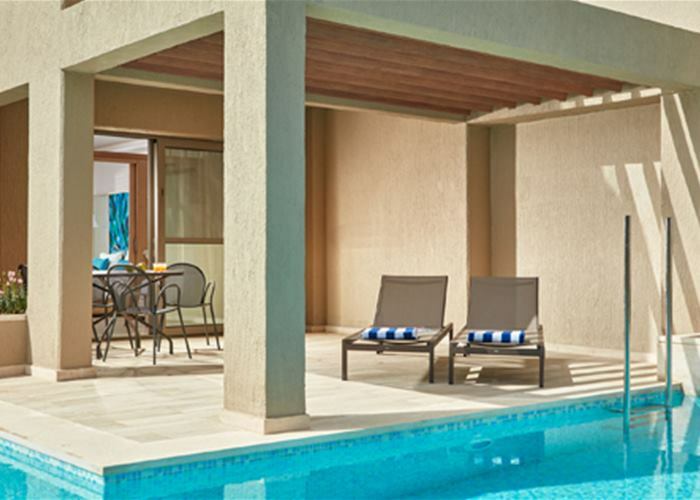 With upgraded furnishings, own sun loungers on your terrace and benefit from direct access to a shared pool. Premium family rooms have the added benefit of a sliding partition and these rooms sleep up to 4 with a queen sized bed and 2 full sized single beds. Taking your room experience to that next level you'll find some extra facilites in this perfect room choice.